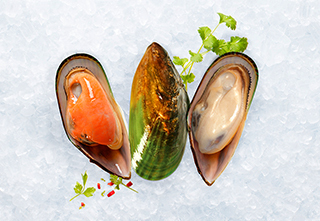 Greenshell Mussels are New Zealand’s most iconic seafood, and are rated by the Monterey Bay Seafood Watch Programme as one of the most sustainable seafood products in the world. Our mussels are grown in four main areas in New Zealand: Marlborough, Golden Bay/Tasman Bay, Coromandel and Stewart Island. They grow on longline technology that uses continuous crop ropes, ranging from 3,000 to 4,200 metres in length. The time from spat to harvest varies by growing area and ranges from 26 months in the Coromandel to 48 months in Stewart Island. These delicacies are a great source of iron, protein and omega-3, and the meat is plump and sweet. 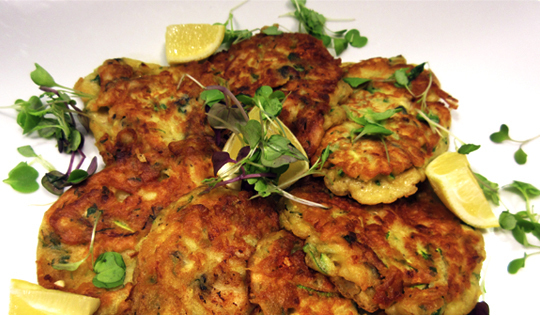 A very versatile shellfish that can be baked, barbequed, fried, steamed or smoked. From the sea to your plate, we’re always looking for new ways to make the most of our beautiful New Zealand seafood. Try something new tonight!